When the editor of Critical Creative Writing asked to republish “The Craft of Writing Queer” I had to go back and reread my essay about imagining a queer aesthetic at the center of creative writing practice and discourse. Queer culture changes rapidly, and I wanted to know if I still agreed with myself. (My essay was first published a half-dozen years ago in the venerable nonfiction literary journal Brevity as an editorial craft column, when Susanne Antonetta, Joy Castro, and I guest-edited an all-women essayists’ edition of the journal.) With the recent explosion of new LGBTQ books and journals, the growing queer presence on contest selection committees and conference panels, the seemingly rapid adoption of marriage equality (after so many decades I spent believing such things would never occur in my lifetime), and the increasing numbers of lesbian and gay characters in American TV shows and films—is the struggle over? Do we still need to imagine the possibilities of queerly composing the literary page? My response is an absolute yes. I will even say we need this way of thinking more than ever, lest we confuse acceptance with common comprehension of what queers bring to the conversation. All of us, not just LGBTQ people but everyone living in community with others, need the influence of hard-won queer ways of being. Queerness as a point of view is tremendously varied, to be sure, and what exactly queerness is depends on who you ask. But whatever else the language means to anyone who names oneself lesbian, gay, bi, genderqueer, trans, or just queer—our spectrum of identities, expressions, and modes of being will always include the ability to see past static cultural infrastructures that don’t support those who exist, and wish to thrive, outside centers of power. A queer literary aesthetic is writing as resistance to the notion that the ways we were (silent, stratified, ostracized, victimized, hidden) could possibly be better than the way we are now (still some of these things, some of the time, but not always, and not everywhere) and the ways we might become (always remaking, redefining, becoming more just and creatively fluid). It’s too little to settle on the mere presence of new queer writers in old institutions. Stopping at inclusion suggests that representation is the only issue at play, and that our history and experience don’t have a place in the shared body of human knowledge. Queerness as a literary perspective, as well as a joyful way of living, came about as an antidote to oppression and hatred, but also because a people who were different in body and affections from the mainstream started talking to each other, and loving each other, and forming communities out of which they made homes, services, and art with one another. From new communities come new traditions, and while community itself may not be an inherently good thing, and while people within communities don’t always live their best lives or shed the systems of power they carry in from other affiliations and origins, the cultural ethos of queer community organizing itself bends toward inclusion and democracy. This is why as a writer I keep striving to write from bent and world-remaking points of view, and why I keep writing about artists whose work embodies queer remaking (such as in this recent essay in the LA Review of Books), and this is why as the editor of the nonfiction magazine Slag Glass City, a journal of the urban essay arts, I want to keep publishing nonfiction writing and visual arts that view the world anew, particularly in ways having to do with gender, race, class, sexuality, and geography. Nostalgia is for funerals and inventive change is the only way forward. The thing about queerness is that has always been about life lived outside of received scripts, therefore has always been about possibility. All literary making is about possibility. And the uncertain. And not knowing who or what we will be until we get there. That’s why queer writers ought to be understood as soothsayers of literary form. That’s why I wrote what I wrote in “The Craft of Writing Queer” in the first place. And that’s why I’m so pleased the work is about to be published again. I can’t wait to read the next new writing that will come of this queerly impossible-possible process. Barrie Jean Borich is the author of Apocalypse, Darling (2018) which PopMatters said “…soars and seems to live as a new form altogether. It’s poetry, a meditation on life as ‘the other,’ creative non-fiction, and abstract art.” Her memoir Body Geographic (2013) won a Lambda Literary Award, and in a starred review Kirkus called the book “…an elegant literary map that celebrates shifting topographies as well as human bodies in motion.” Borich’s My Lesbian Husband (2000), won the ALA Stonewall Book Award. She teaches at Chicago’s DePaul University, and edits Slag Glass City, a journal of the urban essay arts. 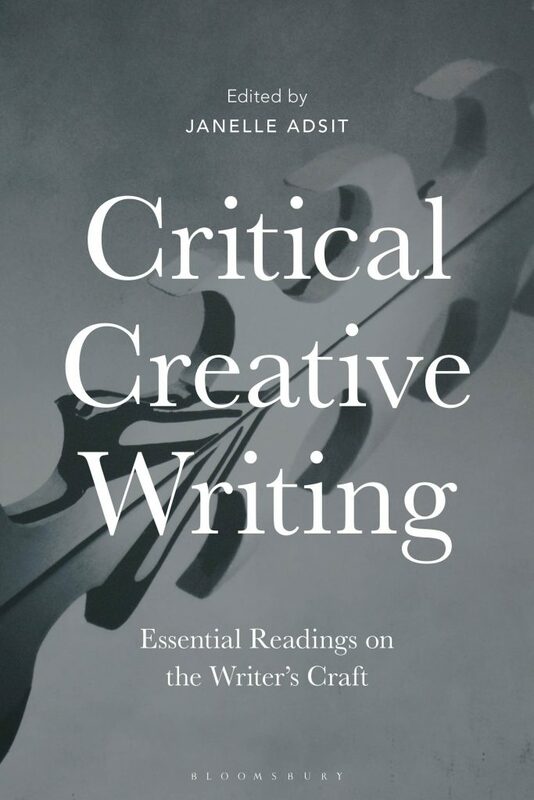 Her essay “The Craft of Writing Queer” appears in Critical Creative Writing: Essential Readings on the Writer’s Craft, now available from Bloomsbury.